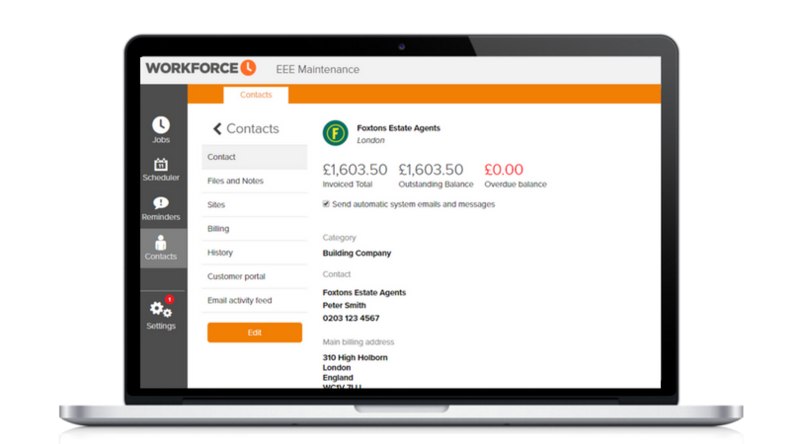 Workforce.FM is service and job management software businesses employing field workers, designed to make your job simple. Our contact management feature is easy to use and saves time better spent doing what you and your team do best. An effective field service management application isn’t just beneficial to the business using it; it’s beneficial to everyone involved in that business, from its contractors to its supplies and, of course, its customers. Effective management of a contact database is integral to equally effective management of jobs, payments and staff productivity. Workforce.FM is a cloud-based mobile solution for the field service industry that helps businesses of any size keep on top of their contacts for a smoother, more straightforward relationship with every individual or industry partner they deal with. Field service is a varied line of work, where businesses deal with a wide range of customers, suppliers and contractors. Not all of these are going to have the same contact management needs, which is why Workforce prioritises flexibility and adaptability in its sophisticated contact database. 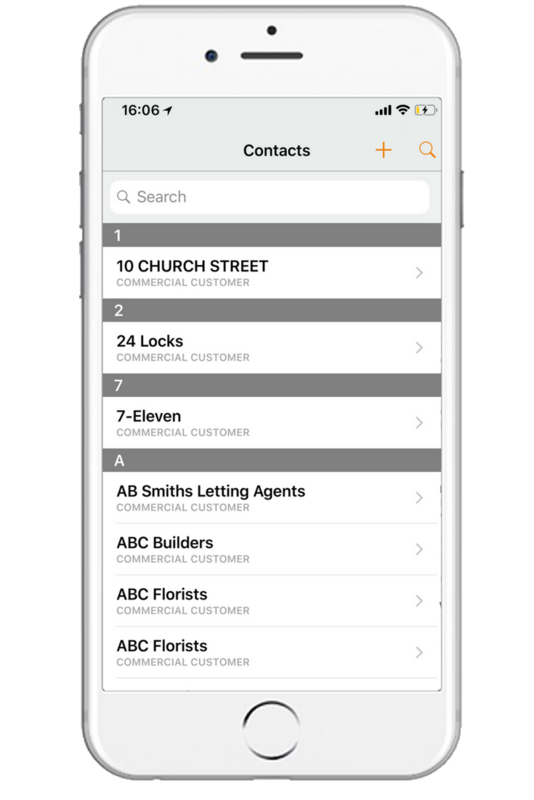 Our app features several contact management templates adapted to the needs of commercial, domestic customers as well as a separate system for contractors. This allows you to clearly manage the different relationships you have with these contacts. You are also able to create contact categories, grouping your contacts however best suits the needs of your business, perhaps to define groups of customers with unique access requirements. The contact database in Workforce serves to build up a profile of each customer, contractor or supplier that will ultimately help boost productivity when carrying out jobs. For this reason, the contact database populates information across the app when jobs associated with each customer are created, including addresses, contact details and billing information. Files and notes can also be added to a customer record, including job templates, instructions, work permits and terms and conditions. These will then be displayed alongside any jobs that are created in association with this contact. 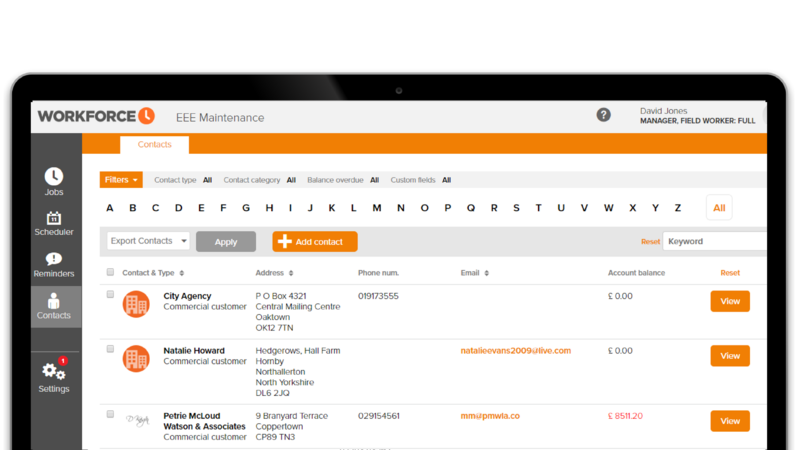 At Workforce.FM, we feel that we’ve created a contact database that will truly improve the working lives of field service teams. Find out for yourself how our app and its amazing features can benefit you by taking a free 14-day trial. This is a no obligation, no auto-subscription trial, so you will not be asked for any payment details during the 14-day period. We simply provide you with full access to Workforce.FM for its duration, allowing you to experience increases in productivity and customer satisfaction. Should you wish to continue using Workforce.FM after the trial period ends, simply sign up from within your account. If not, your account will automatically be closed.